The principle objective of this report is to analysis the Employee Retention Strategy of Eastern Bank Limited. General objectives of this reports are to identify the causes of high employee turnover in EBL, to identify the employee turnover rate in EBL, to identify the strategies of EBL to motivate and retain employees, to propose some ways to increase the retention rate and prevent high employee turnover and to recommend for the implementation of an effective employee retention strategy in EBL. Finally this report make swot analysis the Employee Retention Strategy of Eastern Bank Limited. The role of commercial banks in the economy of our country is inevitable. These banks are one of the major sources of funds for individuals, small and medium sized enterprises and for many other organizations. These banks are also accelerating the export-import businesses in Bangladesh through opening L/C, dual card service (VISA, debit and credit card), providing export promotion funds and other necessary assistance. In a nutshell, our commercial banks are offering full range of consumer, corporate, international trade, foreign exchange, lease finance and capital market services in Bangladesh. Eastern Bank Ltd. is one of the leading banking institutions in private banking industry providing mainly corporate banking services to flourish its business as well as to be a profitable one. The bank has different divisions like HR, Corporate Banking, Retail Banking, Service Delivery, Credit Risk Management, Consumer Finance Center, Card Division, Treasury, NRB, etc. Human Resources Department of Eastern Bank Ltd. is divided into three major areas which are recruitment and selection, training and development and compensation and benefits. These divisions are responsible for the recruitment of eligible employees, arrangement of different training for the employees both in home and abroad, providing compensation benefits including salary, festival bonuses, leave allowance, loan for internal employees, etc. Employee turnover is a common scenario in any organization. There are many reasons for resignation for an employee from his/her existing organization. These may include many issues like getting a better job in terms of better compensation and better career advancement opportunity in other organization, dissatisfaction with current salary structure and other compensation packages, bad relationship with supervisor and conflict with the colleagues, rigid work environment and heavy work load, internal politics, sexual harassment, going abroad for higher study, leaving the country for abroad with family etc. Resignation of an employee initially creates some problems for organization until the vacant position is filled up by another employee. As a result of resignation the job responsibilities of the resigned employee goes to the subordinates that create extra pressure for them ultimately increasing job stress and reducing job performance for them. Yet, sometimes resignation creates some opportunities for the organization by hiring new talented employees, creating promotion opportunity for an existing employee, replacing with junior employees who cost low etc. Having those advantages and disadvantages of resignation an organization should always implement effective retention strategy in order to motivate and retain employees as well as for the survival of the organization. To analyze the employee retention strategy of Eastern Bank Ltd.
To identify the causes of high employee turnover in EBL. To identify the employee turnover rate in EBL. To identify the strategies of EBL to motivate and retain employees. To propose some ways to increase the retention rate and prevent high employee turnover. To recommend for the implementation of an effective employee retention strategy in EBL. EBL was formed as a public limited company in Bangladesh with primary objective to carry on all kinds of banking business in and outside Bangladesh. The bank was formed on August 08, 1992. EBL commenced its business with four branches from 16 August 1992. The authorized capital of the Bank is Tk. 3300 million. The paid-up capital the Bank is Tk. 1,035 million. At present, the bank has 34 branches throughout the country with about 1300 employees. The existing Board of Directors is 10. Mr. Mir Nasir Hossain is the Chairman of Board and Mr. Ali Reza Md. Iftekhar is the Managing Director & CEO. The emergence of Eastern Bank Limited in the private sector is an important event in the banking industry of Bangladesh. Eastern Bank Limited was formed on August 08, 1992 and commenced its business as a scheduled bank with effect from August 16, 1992. EBL started its operation with one Head Office, two branches one in Dhaka and the other one in Chittagong. Its shares are listed with Dhaka and Chittagong Stock Exchange(s) Limited and are being quoted in the market regularly. One of the objectives behind creation of this new bank was to give effect to the bank of Credit and Commerce International (Overseas) Limited in Bangladesh (Reconstruction) Scheme, 1992 framed by the Bangladesh Bank under section 77(4) of the Bank Company Act. EBL is listed in the Dhaka Stock Exchange Limited and Chittagong Stock Exchange Limited. Currently the bank has 34 branches, 26 own ATMs, 65(91-96) shared Q-cash ATMs (excluding ours) and 5 Bills pay machines across the country. EBL also has 68, 772 Debit Cards (first of its kind in Bangladesh), 1,228 Cool Cards and 5,845 Lifestyle Cards. The Bank has a network of 34 branches on December 31, 2008. What is Retention Management Program? A comprehensive retention management program must be built on accurate information about why people are leaving a particular organization. In the absence of such information, wrong conclusions may be drawn about the causes of departure and ineffective means to combat it adopted. Retention management strategy is quite necessary for any organization with a view to reducing the frequent employee turnover rate and to motivate the existing employees to be more goal-oriented. If the employee turnover rate is very frequent in any organization, it faces some problems as the duties and responsibilities of the departed employees go to the subordinates creating extra work pressure for them. Beside this an organization losses some training amount invested for the departed employee as well as the overall company reputation decreases with employee resignation. To hire and recruit a new employee is time consuming and costs the company money. So, in order to reduce the above problems and motivate the existing employees to achieve their goals, the need of an effective retention management program for any kind of organization is quiet important. Benchmark data on retention performance, retention programs, and other HR practices in the organization and successful firms in the same industry or labor market. Goal setting for retention-what is the target rate for each job or department? Not all departures are preventable by the organization. Some flow from external events such as the transfer of a spouse, illness, an opportunity too good to pass up, or a decision to change lifestyle. A means of holding managers accountable for the retention of their staff. In addition to goals, this may include adding retention measures to their performance appraisal criteria and bonus formula. Many opportunities for challenging works, learning and growth. These can be provided through job rotation, secondments, special projects, lateral transfers, mentoring, career planning, promotions and so forth. Effective performance-contingent rewards and recognition and frequent and honest performance feedback to satisfy employees’ desire for information and appreciation. An innovative and competitive compensation system. Both fairness and amount of pay are important, though bear in mind that pay is not usually the only reason people leave. Flexibility in addressing special employee requests for job characteristics as well as work time and mode. Family-friendly policies such as emergency child care, flextime, leaves of absence, and so on if family responsibilities are salient cause of departures. Voluntary turnover is a common scenario in any organization now-a-days. Various factors are responsible for frequent turnover in an organization including job satisfaction and dissatisfaction. Higher job satisfaction is associated with lower employee turnover, which is the proportion of the employees leaving an organization during a given time period (usually one year). The more satisfied employees are less likely to go through a progressive process in which they think about quitting or announce their intention to quit. Thus they are more likely to stay with their employer longer. Similarly those employees who have lower satisfaction usually have higher rates of turnover. They may lack self-fulfillment, receive little recognition on the job, or experience continual conflicts with a supervisor or peer, or they may have reached a personal plateau in their career. As a result they are more likely to seek greener pastures elsewhere and leave their employers, while their more satisfied associates remain. Employee turnover can have several negative consequences, especially if the turnover rate is high. Often it is difficult to replace the departed employees, and the direct and indirect costs to the organization of replacing workers are expensive. The remaining employees may be demoralized from the loss of valued coworkers, and both work and social patterns may be disrupted until replacements are found. Also the organization’s reputation in the community may suffer. However, some benefits may arise from turnover, such as more opportunities for internal promotion and the infusion of expertise from newly hired employees. In other words turnover may have functional effects. There are different reasons for employee turnover in an organization. An employee may voluntarily resign from his/her current position due to better job offer from other employer in terms of better career advancement opportunity and better compensation packages or an employee may quit because of higher study, leaving for abroad as permanent immigrant, personal reasons etc. Beside this an employee may be terminated, discharged or dismissed from his/her current designation based on different variables. External Factors include the unemployment rate and employee’s perceptions of the external job opportunities available to them. Turnover is higher when unemployment in the labor market is low, so that alternative employment appears readily available to job leavers. Internal Factors are usually based on the employee’s attitudes or perceptions with respect to the current job. The job satisfaction of an employee and organizational commitment are usually significant predictors of a decision to quit, with leavers being less satisfied and less committed than stayers. Employees are also more likely to leave if they believe that the organization treats them unfairly; if they have a poor relationship with their manager; if job requirements are conflicting, unclear or stressful; or if opportunities for growth, skill development, and promotion are lacking. If there is lack of great work environment and flexibility in working hours and dress code. Beside these an employee may leave the organization if they do not find no excitement and challenge to perform the job and think that they are not being recognized for their contributions or not being treated as a part of team. Uncertainty regarding job security and inequality in pay and benefits also lead an employee to left his/her existing organization. Traditionally an employee decides to quit an organization whenever he/she experiences job dissatisfaction with the current job responsibilities or work environment or bad relationship with the supervisor. This feeling of discomfort leads an employee to search for better alternatives in terms of better compensation and better career advancement. After assessing the alternatives if it is found superior against the current job, an employee finally decides to quit from his/her current job. Administrative time to process final pay, close retirement accounts etc. Administrative costs to add to payroll enroll in benefits, etc. Lost business or poor quality due to short staffing before replacement, or lower skills before new hires are up to speed. Expenses of hiring temporaries or paying overtime while awaiting replacements. Reduced morale of those remaining, increased stress on those remaining while short staffed or breaking in replacements. Reduction in company’s reputation as an employer when many staff choose to leave; reduced ability to recruit in the labor market. Inability to pursue growth or other business opportunities due to lack of staff. Loss of training amount invested in departing employee. Poor performers may choose to leave and can be replaced with better employees. Leavers are replaced with more junior employees who cost less. Morale improves following departure of problematic employees. Leavers are replaced with people with more up-to-date technical skill. Vacancies are created to allow for internal promotions of other employees, thus increasing their career satisfaction and motivation. Receptiveness to innovation and change may increase. Voluntary turnover is less painful than retrenchments. A confirmed employee may resign from the services of the bank giving 3 (three) months’ notice in writing through a proper channel or 3 (three) months’ basic salary in lieu thereof. The Management may also ask to resign an employee giving him/her a 3 (Three) months’ notice or 3 months’ basic salary in lieu. Any Partial or full waiver of notice period will be at the discretion of the Managing Director. 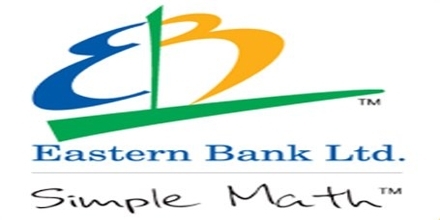 Eastern Bank Ltd. is a second generation bank providing all kinds of banking services to its customers. The bank has different categories of loan and deposit, cards, SME products and other products and services to serve its huge number of clients. There are different departments and divisions in EBL for which a careful HR planning is needed to recruit the best qualified employee for the job and retain them in the long-run for the constant profitability and growth of the organization. Employee retention is necessary because frequent job switching creates some problems for every organization as well as reduces the company reputation. In the year 2008 EBL experienced a considerable percentage of job switching that grabbed the attention of the Management Committee to focus on the current retention strategy of EBL. So, from the above table it is clear that, the trend of employee turnover is quite high among the contractual employees. From the above table it is seen that, from October 2008 to January 2009 a total number of 30 employees left the EBL due to different reasons. Clearly the above table shows that, the trend of employee turnover in EBL is quite high in the junior or entry levels of jobs such as in officer and senior officer level. Among the total 30 resigned employees 22 resigned from the entry level of EBL. During the year 2008 EBL recruited a total number of 421 employees. Among the total recruited employees 171 recruited permanently and 250 recruited on contractual basis. So, from the above it is seen that the turnover rate for the year 200 in EBL was 22% which is somewhat higher compared to other banking organizations. At present this is the prime concern for EBL. So, the employee retention rate in EBL during 2008 was 78%. The Management Committee of EBL is trying to increase the current employee retention ratio in order to establish a steady work environment and to motivate the current employees. The HR Manager believes that employee turnover in an organization has both some advantages and disadvantages. But frequent job switching creates some major problems for any organization. So, any organization should implement effective employee retention management strategy in order to reduce the turnover rate and to motivate the existing employees to make them completely goal-oriented. Promotion opportunity for an existing employee. In this regard, sometimes an existing grade of an employee may not be changed for promotion but functional designation can be changed. Beside the above issues EBL has an attractive performance appraisal process in order to reduce the turnover rate and to motivate and guide its employees toward the achievement of self as well as organizational goal. An employee may resign from his/her existing position due to internal factors or external factors or both of them. For the year 2008, most of the employees leave the EBL because of getting better job in terms of career advancement and higher compensation packages. It has been seen that almost 40% employees leave the EBL because they had managed better job in terms of career advancement and about 30% employees leave the EBL because of getting higher compensation packages. A good relationship between the supervisors and the employees is very necessary for a sound, conducive and favorable work environment. If there is a conflict with the supervisor and the peers of the respective department as well as other departments, the work environment will be hampered and the dissatisfaction would be arouse among the employees. According to the most resigned employees the relationship between the supervisor and the employees were excellent in EBL. Almost 57% of the resigned employees told that they had an excellent relationship with their supervisors. Fairness in treatment of the supervisors with the employees in EBL is fair according to the most of the resigned employees. It is easy to understand from the following graph. From the above graph it is seen that about 57% of the resigned employees had a good relationship with their supervisors or with their immediate line managers. Beside this, about 24% of resigned employees had somewhat fair relationship with their supervisors. Everyone needs support to perform every single job. Without the proper support from the immediate line manager or the supervisor performing a job accurately would be difficult. Beside this the positive attitude of the supervisor toward the employees motivates an employee to be committed to perform his/her job. About 77% of resigned employees agreed that the Supportiveness and Attitude of Supervisor toward them in their respective department in EBL was satisfactory. Without the Co-operation, Friendliness and Respectfulness of Colleagues of an employees’ respective department, it would be difficult to perform a job. Because to perform each and every job proper guidance from the immediate supervisor and support from the peers is necessary. Co-operation, Friendliness and Respectfulness of Colleagues toward resigned employee in their respective department in EBL were very satisfactory. Almost 87% of the resigned employees were satisfied with the co-operation, friendliness and respectfulness of colleagues in their department. Co-operation, Friendliness and Respectfulness of Colleagues for an employee is also necessary from other departments. Because sometimes some jobs are interrelated with the other departments. Without the necessary help from the other department it may be very difficult to perform a job comfortably. Co-operation, Friendliness and Respectfulness of Colleagues toward resigned employee from other departments in EBL were satisfactory. Almost 77% of the resigned employees were satisfied with the co-operation, friendliness and respectfulness of colleagues in other departments. A clear role perception regarding the assigned job is mandatory to perform it successfully. Without the clear role perception about the assigned job would be difficult to perform accurately and it will create both the role conflict and role ambiguity among the employees. Role ambiguity occurs when an employee does not have enough idea about the job to perform if the job is inadequately defined. Beside this when others have different perception regarding a person’s job, role conflict arises. So, to avoid both the role conflict and role ambiguity every employee should be communicated well which is quite satisfactory in EBL. About 84% of resigned employees were agreed that they had been communicated well by their supervisors to perform the job on time and accurately. Without proper authority it is almost impossible to perform job. So, enough authority should be provided by the employer to the subordinate regarding the respective job. In EBL, 56% of resigned employees said that they got somewhat enough authority to perform the assigned jobs. Only 33% employees are quite satisfied about the authority provide to them. Yet, EBL should ensure an environment for all the employees where they will be able to perform the job by applying their own decision making ability and without any disruptions of others. EBL should also ensure the proper direction from the top level management to eliminate the role conflict. Freedom as like as proper authority is also needed to do a job in a satisfactory manner. If an employee cannot exert his/her decision making ability or own judgment regarding a specific job, the job will be a incomplete one and dissatisfaction among the employees will be also arouse. From the above graph, the condition of freedom to perform a job in EBL can be easily understood. It can be seen that 50% of the resigned employees expressed their opinion regarding job freedom that they had found somewhat enough authority to perform their assigned job. A very few of resigned employees expressed their dissatisfaction regarding job freedom in EBL. Fairness in case of distributing job responsibilities among the employees is a crucial factor for both the employer and the employees. Job responsibilities should be distributed among the employees based on the experience of the employees, professional training achieved in related fields and the level of education of the employee to practice the fairness and equality and to eliminate the dissatisfaction of the employees. Regarding fairness of distributing job responsibilities in EBL, about 44% employees expressed their satisfaction which is not a big percentage from the bank’s perspective. Because about 14% of the resigned employees was totally dissatisfied about the issue and 10% of the resigned employees did not mention their opinion regarding fairness of distributing the job which is an indication of dissatisfaction of employees. So, EBL need to be more concerned about the fairness in distributing the job. Job recognition for the job well done is a strong motivational factor for every employee. It stimulates the internal need of an employee that leads him/her to dive and achieve the goals for him/her as well as for the organization. Beside this constructive criticism about the poor performance of an employee influences him/her to be optimistic and goal oriented. If the immediate supervisor continuously monitor and measure the performance of an employee and provides timely feedback, the employee would be guided properly to the productivity of the organization. The above graph clearly states that a considerable percentage (about 67%) of employees was properly recognized by their immediate supervisors for their contributions in EBL though satisfaction of the remaining percentage of employees regarding job recognition was not up to the mark. Beside these 10% of the resigned employees did not mention their opinion regarding job recognition which is an indication of dissatisfaction of employees. Employee morale and honesty is quite necessary in every aspects of the job which is highly satisfactory in EBL according to 67% (approximately) of the resigned employees. About 27% of the resigned employees found somewhat employee morale in EBL. Training for employee learning and development is very necessary. Without proper training an employee cannot perform the respective job fairly. For this purpose every organization arranges both the in-house training and foreign training for their newly recruited employees. The management of EBL believes that they arrange necessary training programs for employee development for higher productivity of the employee. The above graph shows that the percentage of employees who seemed that they had been well trained for every job is not satisfactory. Almost 57% of the resigned employees agreed that they were somewhat trained for performing the job. Flexibility in working hours should prevail to eliminate the monotony of doing the job. Work in a stretch creates job stress for the employees and ultimately reduces the productivity of the employee. According to the most of the resigned employee the working hour was flexible for them. Beside this 30% of resigned employees found somewhat rigidity in working hours while working in EBL. According to the management of EBL Job security in EBL is quiet high and fully secured for an employee if he/she does not commit any offensive work that violates the code of conduct or treated as misconduct as per the policy of EBL. It is also dependent on the performance and honesty of an employee and the compliance with the process and procedures of EBL. Almost 57% employees found the job in EBL as fully secured and about 34% considered the job in EBL as secured which is a clear indication that the level of job security in EBL is quiet high if any employee does not violates the code of conduct of the bank or commit any other offensive work. Career advancement opportunity in EBL is totally dependent on the performance of the employee. If an employee can perform the job up to the mark that meet up the expectations of the employer, he/she has an excellent career advancement opportunity with the EBL. From the graph it is seen that about 34% of the resigned employees found excellent career advancement opportunity in EBL whereas about 27% employees found fair opportunities for career advancement opportunity in EBL. So, EBL should specify a clear career path for the employees. The scheme shall be called the “Eastern Bank Limited staff House Building Loan Scheme”. To be eligible to get the HBLS an employee must be a permanent member of staff and has a minimum 60 months’ service to retire. Beside this he/she has 5 (five) years of continuous service in EBL or 5 (five) years of continuous banking service including 2 years in EBL. His/her overall performance is considered satisfactory (not below rating 3).In case both the husband and wife are employees of the bank, only one of them shall be entitled to avail loan under this scheme. Rate of Interest for this loan scheme is 3% (three percent) subject to change and the repayment arrangement for the loan shall be made within maximum 20 (twenty) years. The Board of Directors in its 297th Meeting held on September 07, 2004 has approved the Revised Car Loan Scheme-2004 for the EBL employees. In this scheme the “Borrower” means any employee (AVP-SEVP) availing of the loan facility. To avail the car loan one must have to be a permanent employee of the bank and has minimum 60 months’ service to retire. The borrower has to pay 4% (four percent) interest per annum and the loan shall be repaid within 5 (five) years from the date of disbursement on monthly installment basis to be deducted from his salary and/or from other sources. The weighted average satisfaction level regarding the above two kinds of employee loan facility among the resigned employees was 2.73 which is dissatisfactory to them. The criteria to be eligible to get the loan facilities were too rigid to the maximum employees especially in the junior or entry level of jobs. “Annual Leave” means any working day’s leave taken by a permanent employee. Every employee shall earn Annual/Privilege leave with full pay after completion of one year service. Every employee shall have to avail at least 15 (fifteen) days privilege leave every year. Any extension of leave will be at the discretion of competent authority. Sick leave will be given on the basis of actual need of staying away from work due to illness. This shall however, not exceed 14 days in a calendar year. Application for sick leave for more than 3 (three) days must be accompanied by a medical report and prescription from his/her attending physician. Only the confirmed female employee will enjoy maternity leave for 45 (forty five) days immediately preceding and 45 (forty five) days following the date of delivery with admissible benefits. This leave will not be debited from her leave account. A certificate from a doctor will be required at the time of applying maternity leave stating the expected date of delivery. The extension/continuation of maternity leave for more than 1 (one) month may be granted/allowed by the DMD/MD on submission of medical certificate with full pay. Extra ordinary leave can only be granted to an employee on an emergency case when no other leave is available to him/her leave account. Managing Director at his discretion can approve the extraordinary leave up to 180 days without pay. The above facility will be limited only to the confirmed employees and his/her immediate family members which include wife/husband and dependent sons and daughters only. Children attaining 18 years of age or on getting married, whichever is earlier, will not be entitled to reimbursement of the cost of medical treatment. For hospitalization/surgical treatment, the bank will reimburse two (2) basic salaries for self/spouse/children up to the age of 18 years. The claim of hospitalization bills must be supported by original bills of reputed hospital/clinic. Regarding the amount of health care facilities the resigned employees of EBL were somewhat satisfied which they provide an average point of 3.77. Every organization provides some retirement or terminal benefits for its employees who have served the organization for a long period of time and going for the retirement. These facilities may also be termed as End of Service Benefits for the employees. In EBL, there are different numbers of retirement benefits including PF, Gratuity, Encashment facilities etc. From the analysis of the report it has been found that the weighted average satisfaction regarding the retirement benefits among the resigned employees was in neutral position which means that they are neither satisfied nor dissatisfied with the current retirement plan benefits. Members on confirmation, in regular employment with the Bank, are required to join the Provident Fund to which members contribute 10% of their Basic Salaries and the Bank makes a matching contribution. The Bank shall create a gratuity fund every year for adequate amount required for the purpose. Managing Director and Deputy Managing Director would be eligible to receive Gratuity after completion of 5 years of service with the bank. Members become eligible to receive Gratuity on completion of 10 years of continuous confirmed services with the bank. Annual/privilege leave encashment facilities may be allowed to the employees for a maximum of 90 days at the time of his/her leaving the bank other than dismissal. While allowing the facilities, the last basic pay, house allowance/ceiling and medical allowance will be taken into consideration. This includes Admissible Benefits such as death and survival benefits, Coverage and Inadmissible Benefits such as suicide and death sentence. Suitable retirement gift will be made to the members on their normal retirement the cost of which will not exceed TK. 20,000/=.The presentation of the gift will usually be made at an appropriate place and time. Suitable presentation of Long Service Awards will be made to the members on completion 10 (ten) years of continuous service with the Bank. The gift amount will not exceed Tk. 15,000/- . Salaries are confidential between the employees concerned and the Management. Employees joining against a post will be receiving the salary as per the grade they join in. The annual salary revision is decided by the Managing Director with approval of the Board of Directors based on, individual performance, market movement, Bank’s affordability, Individual’s relative position in a particular salary range etc. In the event of Promotion/Up-gradation to a higher Job Grade, the employee will receive an increase of 10% of his/her previous basic salary and all other allowances applicable in the higher grade. Salary increases are awarded once a year on the basis of Increment Policy to all employees who have performed satisfactorily in the given year for a minimum period of 180 days after confirmation of service. One may not receive any increment on a given year as a penalty on account of any offence/disciplinary measure. Increments are awarded to the employees as per Rating of the Annual Performance Appraisal. Promotion depends on the availability of a position in the higher grade and a proven track record of an individual’s capabilities of taking over higher responsibilities. Promotion may also take place if the job size increased and the Management committee decides to upgrade the job. EBL provides two types of bonuses for its employees- one is festival bonus and another one is performance bonus which is totally based on the outstanding performance of an employee for a given period of time. The performance of an employee is measured with appropriate performance appraisal processes of EBL. Regarding the availability of employee bonus the resigned employees of EBL was not satisfied. Their satisfaction level regarding employee bonus is 3.23 that means they are dissatisfied with the current process of bonus of EBL. Everyone joins in a organization in order to meet some of his/her expectations as well as the goal of the organization. If the respective organization can provide excellent career advancement opportunity, good compensation and benefits packages, sound, conducive and supportive work environment, the expectations of the employees definitely will be met up. It is seen that about 57% of the resigned employees told that their achievements in EBL was close to their expectations. 30% resigned employees found everything in EBL within their expectations. Almost 14% resigned employees found everything far from their expectations in EBL which is also a matter of concern. The overall company policy of an organization should be somewhat flexible for the employees. If the company policy is too rigid, the compliance with the policy would sometimes be difficult for the employees. So, overall company policy of an organization should be in a flexible and structured way. In, EBL almost 44% of the resigned employees were somewhat satisfied with the overall company policy. 30% employees found the EBL’s policy as quite flexible. A minimum percentage of employees were dissatisfied with the overall company policy of EBL. The total number of manpower recruited in EBL in 2008 was 421 and the number of manpower left the EBL in 2008 was 273. Among the 273 resigned employees 30 employees left the EBL from October 2008 to January 2009. The percentage of male and female resigned employees from October 2008 to January 2009 is 86.67% and 13.33% respectively. Among the 421 employees recruited in 2008, 171 were recruited as permanent employees and 250 were recruited on contractual basis. The majority of employees who left the organization were recruited on contractual basis. Employee turnover ratio in EBL for the year 2008 was 22%. Among the total resigned employees 80% have confirmed their job in other manufacturing and services organizations. Better job offer in terms of career advancement and higher compensation were the main reasons for frequent employee turnover in EBL. Beside these, there were some other reasons for turnover including monotonous job, leaving for higher studies, deprivation, medical/health reason, internal politics, less scope for career advancement, retirement, leaving the country for abroad as an immigrant etc. About 57% resigned employees had excellent relationship with their line manager or immediate supervisor. Almost 67% employees agreed that their supervisor had treated them fairly and 77% told that their supervisors were supportive and had shown good attitude toward them. Co-operation, friendliness and respectfulness of colleagues in respective department and other departments were excellent toward the resigned employees. According to the most of the resigned employees job environment was sound, conducive and favorable. Although most of the employees had clear role perception about their job, authority and freedom was not enough to perform their respective jobs. Fairness in distributing job responsibilities in EBL is not satisfactory. Almost 67% employees were recognized by their supervisors for the job well done. Employee morale in EBL is quite high. It has been seen that about 67% employees are satisfied regarding the employee morale in EBL. About 57% employees were somewhat trained for the job that had been assigned on them which is not satisfactory to perform the job effectively. Working hour in EBL is flexible though a considerable percentage of employees found somewhat rigidity in working hours which is a matter of concern for the employees. Job security in EBL is quite high and fully secured for an employee if he/she does not commit any offensive work that violates the code of conduct or treated as misconduct as per the policy of EBL. It is also dependent on the performance and honesty of an employee and the compliance with the process and procedures of EBL. Career advancement opportunity in EBL is somewhat excellent and it is totally performance oriented. More than 60% employees were satisfied with the compensation packages of EBL and 50% employees were satisfied with the performance appraisal process of EBL. A considerable percentage of employees did not mention their opinion regarding performance appraisal process of EBL. Weighted average satisfaction level regarding adequacy of bonus, leave facilities, health care facilities and retirement plan benefits is somewhat satisfactory while dissatisfaction arouse regarding existing loan facilities for internal employees. According to 57% resigned employees everything was close to their expectations during their tenure in EBL. The overall company policy of EBL was somewhat satisfactory among the resigned employees which are about 44% of total resigned employees. Though EBL is not a high payee organization compared to market leaders, the excellent and open door work environment and totally performance driven career advancement opportunity have made many of the people to be a wining member of EBL. This is the key success factor of EBL. In the year 2009, EBL is going to conduct a salary survey among all the employees and based on the recommendations of the survey, the existing salary structure would be revised. A clear goal-oriented career path is going to be set-up for contractual employees in order to reduce the turnover rate among them. Implementing internal job rotation for eliminating monotony of doing same job and providing an opportunity to gain new experiences. Reviewing performance bonus and increment for the year 2009. Introducing policy regarding recruitment & selection, MTO, talent hunt and internship policy has just been reviewed and waiting for Board of Director’s approval. As EBL does not have any bond or agreement with the employees while recruiting, for this reason turnover is quiet frequent in EBL compared to other organizations. So, EBL should impose policy regarding the departing employees that they should at least reimburse the amount that had been incurred for training and development. The tenure (2 years) of contractual employees should be decreased to reduce the dissatisfaction of them to be recruited as permanent employees. It may be reduced from two (2) years to one (1) year and provide them opportunity to be a permanent employee. The current structure of compensation and benefits packages of EBL should be revised as well as a clear career path should be mentioned both for contractual and permanent employees in order to eliminate the uncertainty regarding career advancement opportunity in EBL. For this purpose, in the year 2009, EBL is going to conduct a salary survey among all the employees and based on the recommendations of the survey salary structure would be renewed. Fairness in distributing the job among the employees should be strictly maintained. Functional designation and the grade of an employee should be allocated based on the previous experience and professional training in the relevant fields and the educational level of an employee. Rigidity regarding the loan facilities (HBL & Car Loan) of EBL may be done somewhat flexible. Eligibility criteria to get the loan should be comfortable for the employees. Enough freedom and authority with proper direction from the immediate supervisor or line manager are needed to perform the job effectively as well as efficiently. So, EBL should properly ensure the above issue. Initiating flexibility in working hour Flexible working hours and company policy should be initiated in order to reduce frequent employee turnover and implement effective retention management strategy in EBL.